The first person to fire a Hellfire missile from a Predator drone in combat and destroy a target, wrote an article in Air, Strategy and Policy in November of 2014. From his experience “War is no Video Game – not even remotely.” He describes two experiences while piloting a Predator. The first instance was before the Predator was weaponized. It happened, in September 2000, when he and his sensor operator saw Osama Bin Laden, exquisitely framed on their screen. They followed him as he moved on the compound, but all they could do was watch, because at that time no Predator was armed. He regretted not being able to kill our arch-enemy. He describes avoiding being shot down by a MIG. The evasive actions were demanding and they had to preform maneuvers as difficult as any done as a helicopter pilot. While the pilot of a Remotely Piloted Aircraft doesn’t hear the plane’s engine, feel its motion, smell the airplane smells; and while he has a joystick, throttle, and is sitting in a Ground Control Station in a Virginia parking lot viewing TV screens, mentally and emotionally he is at war. The recommendations of the Commission led to a book by Rita Nakashima Brock and Gabriella Lettini: Soul Repair: Recovering from Moral Injury after War and the establishment of the “Soul Repair Center” at Brite Divinity School in Fort Worth, Texas. Rita and I were Co-founding Directors of the Center (www.Brite.edu/soulrepair). I retired from the Center last May. At the Center we did research and public education on Moral Injury. One of the groups we talked to and did research on were the Drone Pilots. Many of them suffered from Post-Traumatic Stress, some experienced it as a Disorder and as a Moral Injury. I have many questions about the use of Drones and the morality of these weapons. My major concern is what the Robotization of War will do to Military Virtues. One of the things I stressed in our Public Education efforts at the Center was that the Military is a moral system. A value system markedly different from the value system in civilian society, but a moral system non-the-less: designed to make it possible to survive on the battlefield. Some values are these: courage is the virtue we need to preserve in the face the horror of war, not allowing fear to obscure our judgment of what needs to be done in our conduct on the battlefield; (The Drone Pilot may not need physical courage, because the drone operator operates without physical risk.) 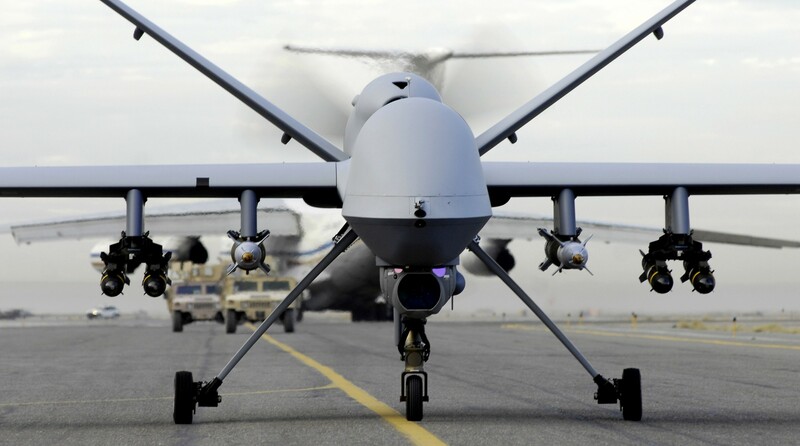 but moral courage is an important value for the drone operators to enable them to make the right decisions despite some countervailing pressures and temptations in the conduct of warfighting; the value of Loyalty to the leadership and to fellow combatants; the value of being just and acting justly; the value of self-control so acts will not be deflected by passion or emotion; and the virtue of practical wisdom – a habit of sound judgment about practical situations. These values are essential in wielding the deadly force entrusted to them by the society that sends them to the field of battle. These were some of the issues that I carried to the “Interfaith Conference on Drone Warfare” at Princeton Seminary, January 23 – 25, 2015. About 150 religious leaders, scholars and community activists attended the Conference. Speakers from a wide diversity and range of expertise provided informed input to the Conference which resulted in a document with several recommendations. One impression that was most meaningful to me as a Just War adherent and as a Chaplain who served 40 years in the Army, was the disconnect between the International Laws of War from the moral tradition that helped form these laws. One very important task for the future is to rediscover the ethical basis for the international laws. We are at great risk to move from “what is” to what “ought to be.” We have tremendous potential to create automatic weapons, but should we risk deploying autonomous weapons, not controlled by human actors and moral agents?